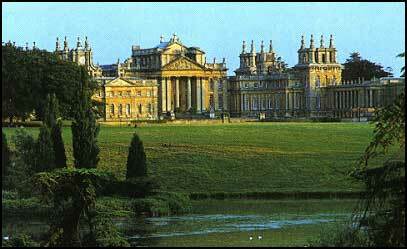 Blenheim Palace, near Oxford, was built in the early 1700s to glorify the great military hero John Churchill. Winston Spencer Churchill was born, married and got his sense of destiny here. The Palace stands in a 2,100-acre park created by the famous landscape gardener 'Capability' Brown, enclosed by a stone wall nine miles long. The palace contains 187 rooms.